People are starving to death in Africa and the Middle East, yet the world just shrugs, said Damien Roustel in L’Humanité (France). 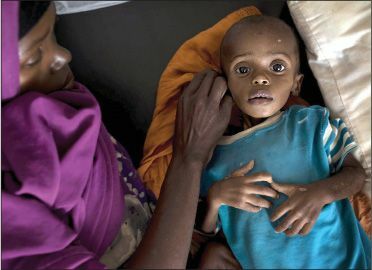 The United Nations called for immediate emergency donations of $4.4 billion last month, warning that 20 million people in Somalia, Nigeria, South Sudan, and Yemen are at risk from famine and that 1.4 million children are at “imminent risk of death” from severe malnutrition. The U.N. has raised only about one-fifth of the requested funds, mostly for Somalia. South Sudan and Yemen have received very little. Of course, money alone won’t solve these countries’ problems—all four nations are struggling with civil war or violent insurgencies. But money is the beginning of the solution. And right now, the international public has “disaster fatigue.” They’ve spent all their sympathy on Iraq, Syria, and the migrant crisis in Europe—there’s little left for Africa.